Oceania Marine is two months into a major refit on a 43 metre superyacht, sailing yacht Bella Regazza. Two major components of the refit are well advanced. Firstly, the colour coats have just been applied to the hull topsides in readiness for clear coating. Secondly, all decks have been stripped back and faired for the new teak deck to be laid. The works are being undertaken at Oceania Marine’s North Shipyard in Port Whangarei, New Zealand. 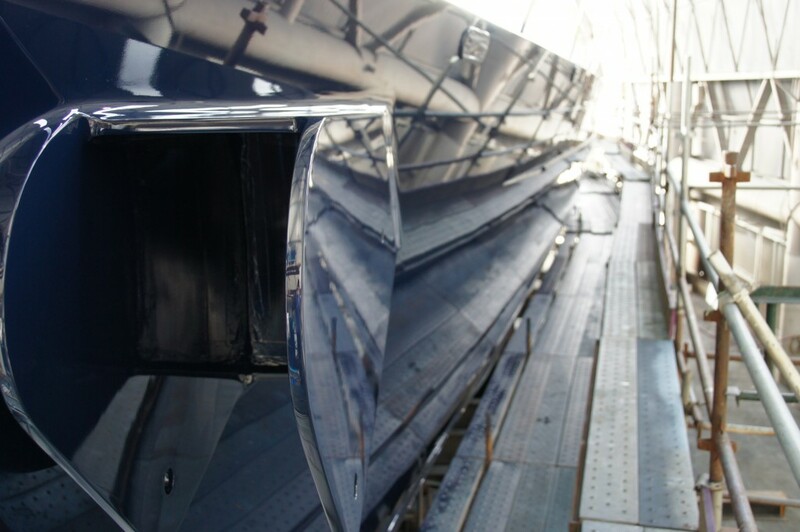 The vessel is accommodated under cover in refit/paint shed A at the head of the 800T slipway. This facility is one of the top destinations in the Oceania region for superyacht refits and is supported by highly skilled specialist teams in all the major trades.